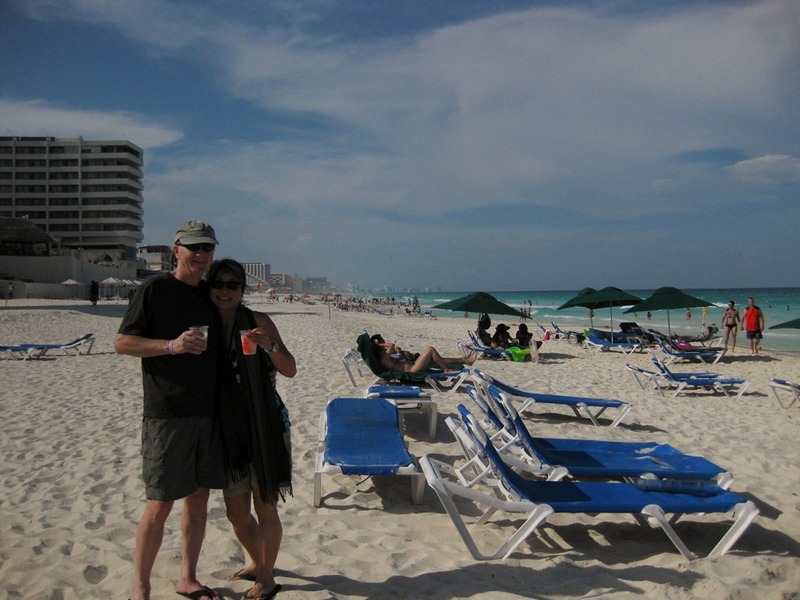 We chose to end our trip to Mexico in Cancun (photos) and to take a little vacation there. Now, I know some of you are thinking, “Vacation? I thought you were already on a vacation.” We think of this as a vacation since it is so different from our regular type of travel. And, Cancun itself is very different from most of the rest of Mexico. Some people would say that it is not the “real” Mexico. But it is a very beautiful place with terrific places built for tourists to enjoy. I recently read an article I very much liked and which very clearly articulated many of my own thoughts about travel. I encourage you to take a few minutes to read “7 Lessons from a Year on the Road”. I particularly direct you to lesson number 2: “The path is beaten for a reason”. This lesson applies to Cancun. 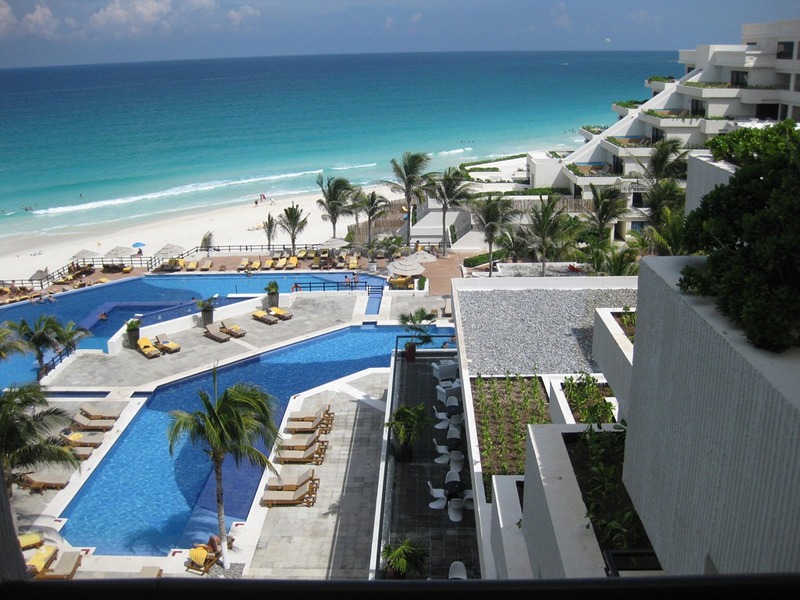 Many of the “travelers” you encounter would discourage and belittle the idea of visiting Cancun. Perhaps to Isla Mujeres or Isla Holbox but not Cancun, it is just too touristy. There’s a good reason why. It’s beautiful. And we were ready for a few days of no decisions to make about where to eat or how to find our way around. 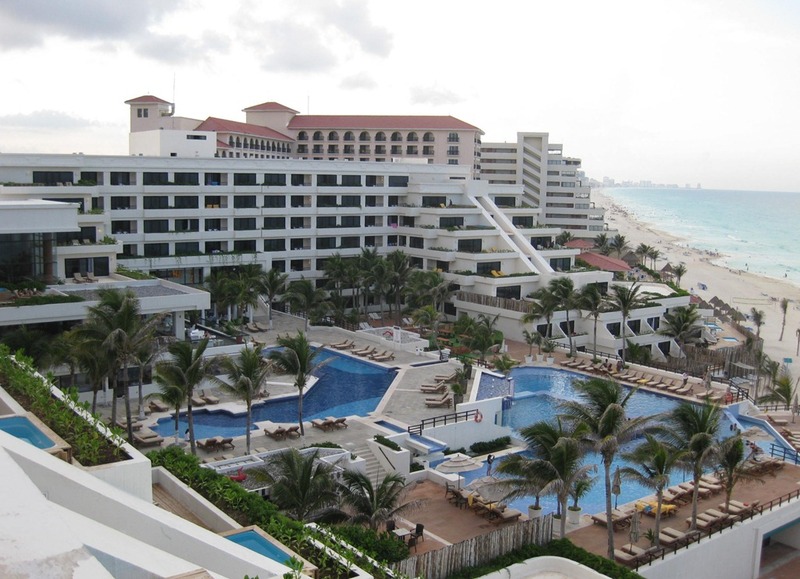 We went all the way and booked a room at one of the all-inclusive hotels in the Zona Hotelera of Cancun, Oasis Sens. The Oasis Sens turned out to be a perfect choice for us. It describes itself as “adult oriented” which seems to mean that although it’s not limited to adults it does not offer particular activities or programs for children. The hotel has 322 room plus 66 suites. This makes it large enough to have a good variety of amenities but not so large as to feel crowded. The staff was always friendly and they had a good variety of restaurants to choose from. We visited one of the other Oasis properties in Cancun, the Grand Oasis which is the largest of the Oasis group. We were allowed to use the all-inclusive amenities at any of the other Oasis properties. The Grand Oasis is much larger than the Oasis Sens and you can definitely feel the impact of the greater number of people. After this visit we were more convinced that we had made the right choice for us. One of the restaurants at the Oasis Sens was called Benazuza. Even though it was included in the all-inclusive package, it required a reservation because they limited the number of diners each evening. The format is that of a tasting menu. When you arrive they explain that they will be bringing a series of dishes to the table. 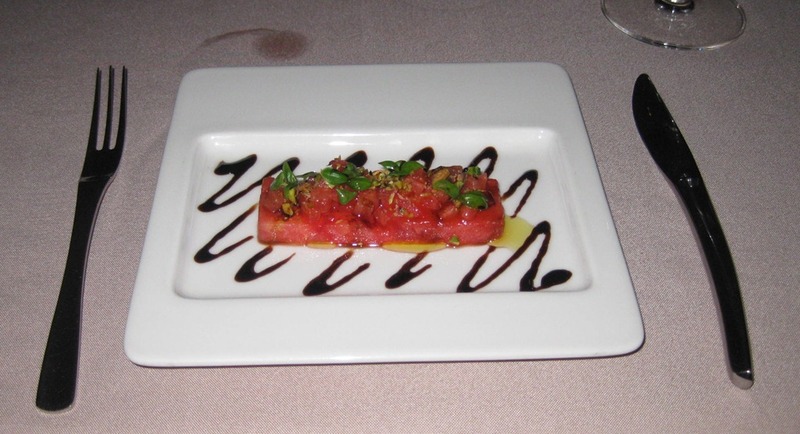 They use all fresh ingredients and many of the dishes will have a Mexican theme but with a different slant. For example, they served a margarita with a warm tequila foam on top of a traditional blended margarita. The dinner was a series of 18 items and was very delightful both for the taste and visual appeal. We enjoyed our 5 night vacation in Cancun. It gave us a nice buffer leading up to our return to California on July 19th. Yes, I also love Cancun. Hope you two are home safely by now. Yes, thanks. We got back late Thursday. Thanks for sharing your Mexico travels and a little time with us. Brought back many memories of our beautiful country. Thanks, Roy. Great meeting you. That hotel and beach are amazing! I understand your calling it a vacation. WOW! Yes, it was very nice. Not our usual accommodations.